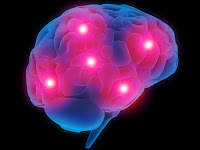 In addition to alleviating symptoms of depression in some people, the selective-serotonin reuptake inhibitor (SSRI) escitalopram may protect against some inflammatory and neurotoxic biomarkers associated with the mood disorder, a study in the Journal of Psychiatric Research reports. Angelos Halaris, M.D., Ph.D., a professor of psychiatry and behavioral neurosciences at Loyola University Chicago Stritch School of Medicine, and colleagues compared blood samples from 30 adults with MDD taking 20 to 40 mg of escitalopram daily for 12 weeks with those obtained from 27 controls. The researchers assessed plasma levels of inflammatory biomarkers and tryptophan/kynurenine metabolites for both groups at baseline and for patients with MDD again 4, 8, and 12 weeks after initiating treatment with escitalopram. Clinical assessments during the studied period were also carried out at each visit using the Hamilton depression (HAM-D), Beck Depression Inventory (BDI), and Clinical Global Impression (CGI) scales. The researchers found that baseline plasma concentrations of all studied inflammatory biomarkers were higher in the MDD cohort compared with controls, with four biomarkers reaching statistical significance (hsCRP, TNF-alpha, IL6, and MCP-1). However, 12 weeks of escitalopram treatment was associated with reduced levels of TNF-alpha as well as significant reductions in total scores on the HAM-D, BDI, and CGI rating scales. In addition, 8 to 12 weeks of treatment with escitalopram was associated with a statistically significant decrease in the neurotoxic metabolites 3-hydroxykynurenine and quinolinic acid. “Although it is not certain at this point whether these biomarker changes are the cause or effect of the clinical improvement achieved at week 8, one clear observation is that, at week 8, escitalopram monotherapy induced reduction of both clinical symptom scores and inflammatory and neurotoxic biomarkers,” the study authors noted.